Last November, Monsignor Furretti was set the task of choosing between Mgr Basil Loftus in the Catholic Times, and that bastion of tradition, the Remnant. 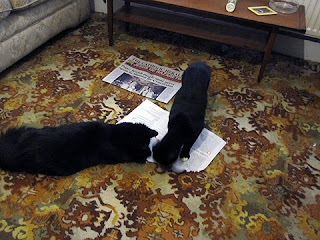 I followed up with an article about the discerning cat. Cute little kittens though they may be, when they see something that is "needing to be destroyed" (delenda) they do not hesitate, but set about the task with gusto.